Highly Recommend Order 19June, rec'd 22June. product expiry 09/17. Order 19June, rec'd 22June. product expiry 09/17. Highly Recommend Items received in good condition , fast delivery . Items received in good condition , fast delivery . Item received in good condition , delivery quite fast , slightly cheaper than pharmacy . Delivery so fast for two days. Nice packing. Good condition. Expiry date is 2017. Great deal! Super fast delivery! I received my goods within 3 days! Items received with good conditions. Gaviscon really works just like what we see on the TV ad . 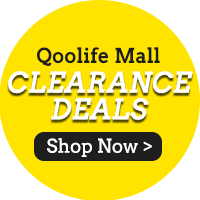 Qoolife sells slightly cheaper than those mini marts and pharmacies .